A Neo Zeon mass-production mobile suit, it is the successor to the earlier AMS-119 Geara Doga. Like the Geara Doga, and its Zaku predecessors, the Geara Zulu was not a "high performance" mobile suit. Meaning that although the Geara Zulu's specs gives it a superior performance to the Geara Doga, its technology does not "push the envelope" as the mobile suits of the First Neo Zeon War did. 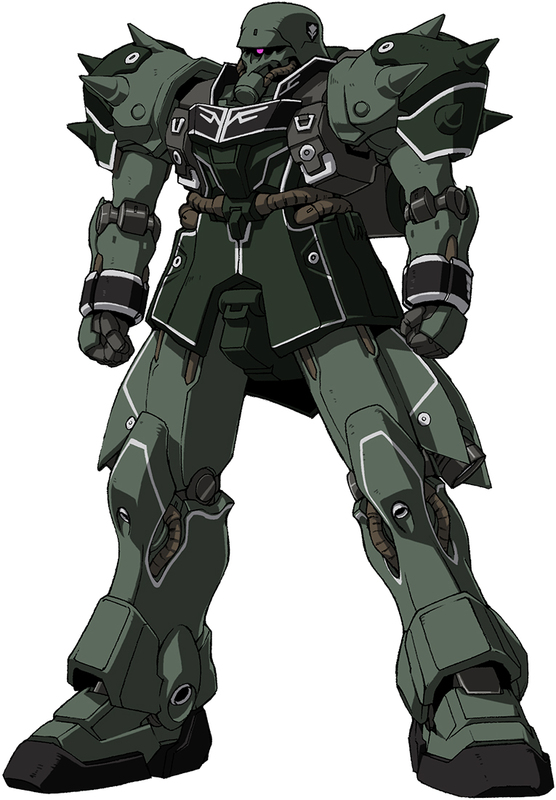 Like the Geara Doga, the Geara Zulu's design was based on using simple and conventional mobile suit technology. This made the Geara Zulu fairly easy and cheap to mass produce as well as simple to pilot since it does not have any difficult to use features such as a transformation system. In order to increase overall versatility the Sleeves have produced a wide variety of hand armaments that can be used by the Geara Zulu. Generally the standard armaments the Geara Zulu mobile suits are equipped with include a beam rifle and beam tomahawk, although there is a wide range of weapons that the mobile suits can be equipped with depending on the mission profile. The Geara Zulu can have a weapon's mount placed on the back of its waist that is designed to carry several hand grenades and a beam tomahawk. 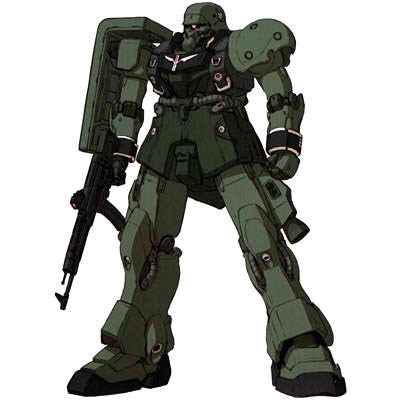 There are two basic models of the Geara Zulu, the normal type which features a shoulder shield on the right arm and a Royal Guard version that has modified shoulder and leg armor, a larger backpack possessing larger fuel tanks, and has more detailed markings. It is usually equipped with a beam rifle that has an underslung grenade launcher, and carries extra beam rifle magazines on the front skirt armor. Commander versions of these two models include a horn mounted on the units forehead.